Valkor knew the latest projector from ViewSonic, the M1 was the right fit for me to review; I mean I've been playing around with them for over six years. 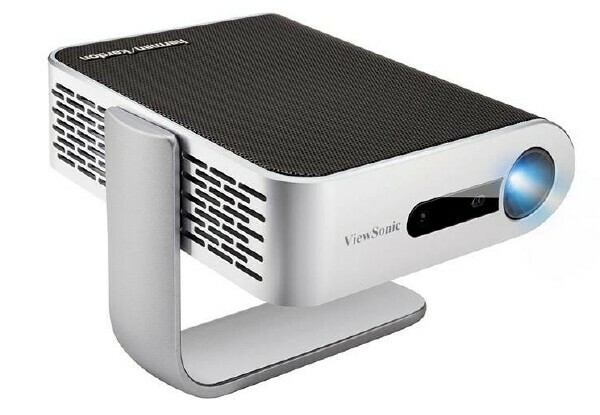 So, given what little experience I have, I believe I was prepared to take on the task of giving this mini projector a serious run. It's definitely one of the smallest projectors I’ve had the chance to work with. And I’m very curious to see how well this it'll hold up by comparison to the others I've used in the past. On the outset, the M1 has a built-in arm that does double duty, first as a lens protector when not in use and a 360° adjustable stand when in use. Moving the arm away from the lens also automatically turns on the projector. On the opposite side of the arm, is the lens correction dial, which will focus your image once you have it facing a wall or ceiling. And right next to the dial you'll find a panel that opens up to reveal your ports such as the microSD slot, HDMI, 3.5mm Headphone port, USB-A, USB-C, and DC power port. On the back side is a 4 button navigational panel to control the projector such as power/enter, volume, stop, etc. However, it's just easier using the included remote control. Finally, there are five dots at the back to indicate battery level. And I'll cover more on the battery further down. Now we go into the lens and led bulb; it's stated that the M1 does have a 24” to 100” display size with a 9’ throw distance. I maxed it out to 100” at 9’, but the picture quality was pixelated yet still very watchable. For me, I found that 80” was actually the sweet spot. The resolution is native 854x480 16:9, if you’re used to 1080p on a LED TV or projector you will notice a difference. However, when I kept the image at around the 80” mark, it was a minor noticeable difference. It also depends on how meticulous you are with resolution standard. When it comes to projectors, lumen is an important factor; lumen is basically how much light is produced by the projector and on the M1 it’s dependent on the setting that's selected. You get four pre-sets to choose: Full, Eco, Extended-eco, and Battery-saver. These setting also affect how loud the fan is and in turn how long the battery last. The battery is rated at 6 hours after a full charge on Battery Saver. But on "Full" you get about a movie and 2 episodes (2.5 hrs.). The led bulb life expectancy is said to be 30,000 hrs. Or a little under 3.5 years of play time, which is quite a lot. To keep with its size and portability, the M1 comes equipped with 16GB of internal storage. This is great if you’re on the go as the size of the M1 is very travel-friendly, yet you have the added bonus of loading up on some of your favorite digital media. 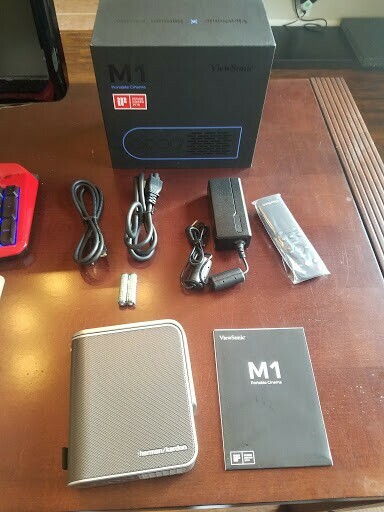 And if you need additional storage, don't forget the M1 has a microSD slot, to handle any extras. Finally, there’s one thing that stationary projectors never have, and that's decent sound. 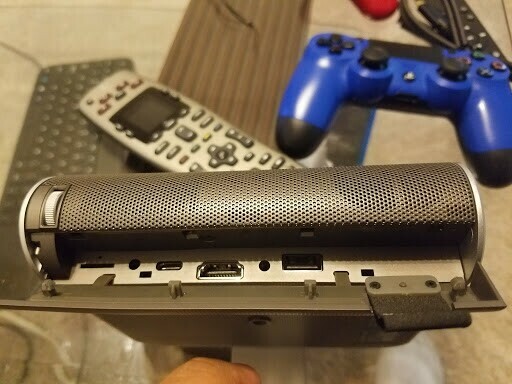 I have to say that I was really impressed with how well the Harmon Kardon speakers sounded even when the fans were on full; I honestly didn’t expect that kind of awesome from two 3 watt speakers. I was dazzled with not only how well the sound filled the room but also how clear the audio quality was with a nice subtle bass. 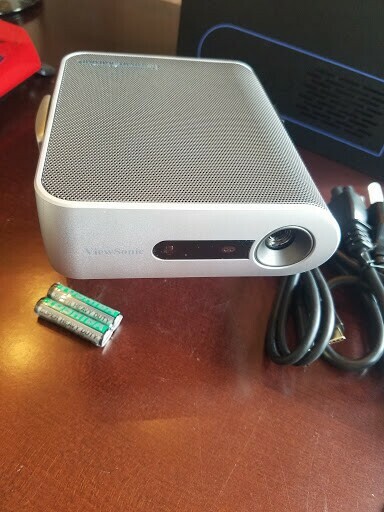 I gotta give it up to ViewSonic for putting out one of the finest, and the most portable projector that is the M1; I really did enjoy this device as it’s smaller than most books I used to carry in college. 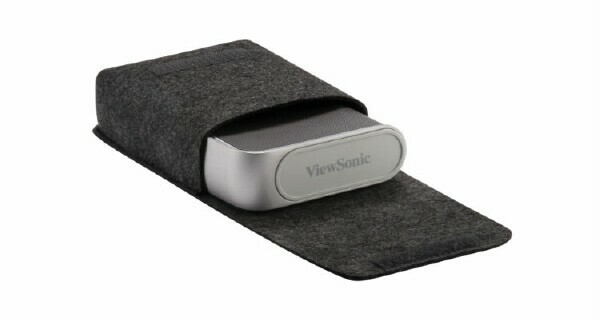 The 16GB of storage is pretty decent, but ViewSonic gets plus points for the addition of the microSD slot. As far as the visuals go, the M1 puts on quite a show when it's set just right. I mentioned above that you can project up to 100”, but 80” was the sweet spot as images looked stunning with nice, vivid colors that look amazing… in the dark. In the day it’s OK, but night time is where it’s at. 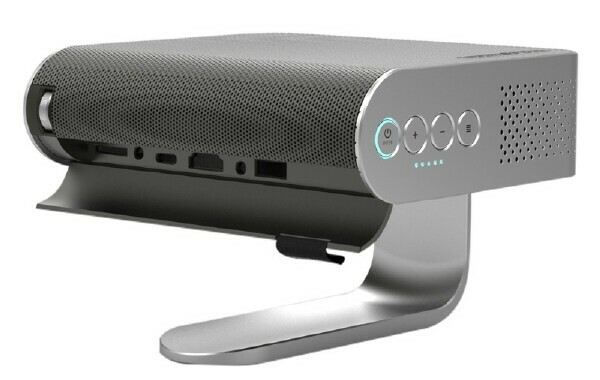 Next, ViewSonic went out of their way with the M1’s Harmon/Kardon onboard speaker; I’ve never had a projector where the speaker was this good, which is great on the vocals and a decent amount of bass. Finally, the built-in battery is pretty decent as it lasts a full movie before needing a recharge. This isn't too bad, but if you're home, keep it near an outlet, especially if you plan on binge-watching a series. 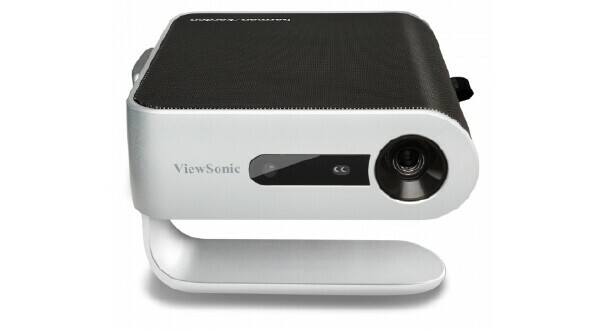 Overall, ViewSonic should be proud of the M1, though it has its issues, it’s still a solid projector that's great for use at home or on the go! The biggest issue I had with the M1 is the placement of the remote IR sensor, which is at the front of the projector. I thought the remote had dead batteries or maybe it was defective. But it wasn't until I read the spec sheet that I realized that the sensor was on the front. That doesn’t make sense since I'm guessing most people (such as myself) will sit behind the device. I’m sure real-estate on the M1 is pretty tight but if there’s going to be another version, please put a sensor on the back as well as the front. 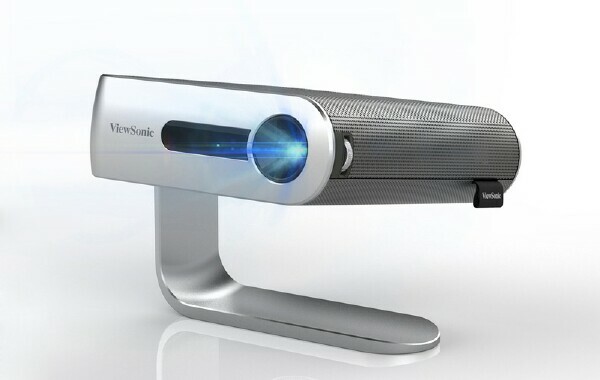 If you're looking for the perfect gift to give this year, the definitely consider giving ViewSonic's M1 portable projector. It offers up great image quality, exceptional sound and it's the perfect device for use at home as well as on the go. I highly recommend it. So, out of TOV 5 stars I gotta give the M1 a 5, even with the need for a rear IR sensor the projector is still worth every penny.